Are Trewithen’s red squirrels nesting? Trewithen Gardens’ two female red squirrels might be preparing to have babies. If they do, it will be the second year in a row and a huge boost for the Cornwall Red Squirrel Project. Over the last few weeks they’ve been spending more and more time in their nesting boxes and, on the rare occasions they have come out, they look fuller round the middle. Experts say these are good signs. 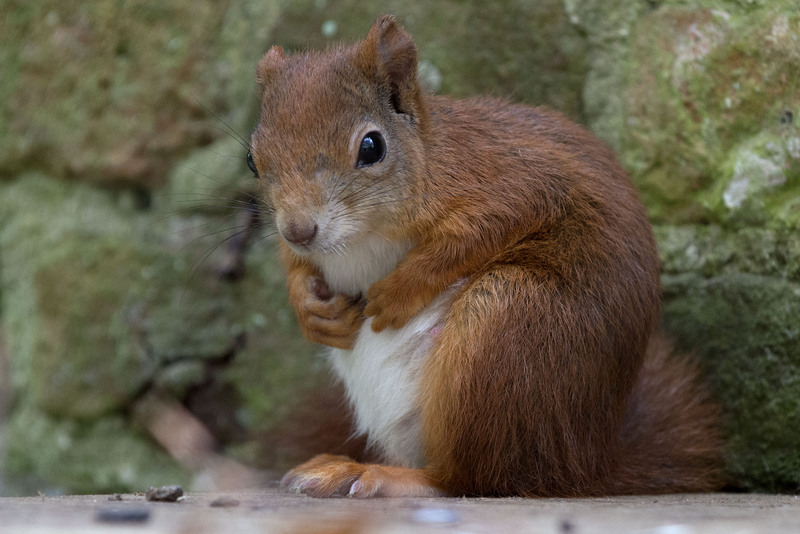 Red squirrels are one of the most threatened mammals in the UK. They are out-competed by their grey cousins for food and habitat and are also at risk of the fatal small pox disease, which is carried and spread by the greys. As a result of the incursion of grey squirrels, reds were officially declared extinct in Cornwall in 1984. With the help of the Trewithen squirrels that status looks set to change. The historic gardens between Truro and St Austell are home to two female and one male red squirrel as part of the Cornwall Red Squirrel Project, which aims to reintroduce the species to the county. Trewithen’s two females arrived in the spring of 2012 and HRH Prince Charles, who is President of the Red Squirrel Survival Trust, released the male into the garden’s purpose-built pen a couple of months later. “It was a bit of a shock when I noticed two extra, smaller, squirrels running about the pen last July,” said Head Gardener, Gary Long, who takes responsibility for the squirrels.